Discover the most affordable used cars for sale by visiting Foxhayes Car Sales today. 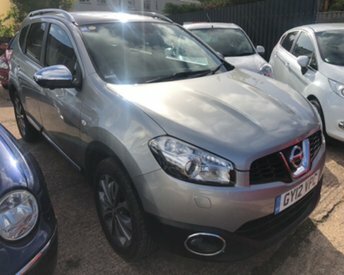 We have a vast range of second-hand cars for sale from brands as well-known as Nissan, including a series of small city runabouts to large and more demanding SUVs. Nissan seems to have conquered the markets it occupies, and the Leaf is amongst the used car market?s leading electric cars while the GT-R is capable of supercar crushing acceleration and boasts the practicality of 4 seats and a generously sized boot for the shopping run. We at Foxhayes Car Sales always strive to provide our customers with complete peace of mind after buying their perfect used Nissan car, which is why we ensure that all our vehicles are prepared to the highest standard before their sale. To take a better look at our full range of used Nissan cars for sale, make your way to our showroom, based in Exeter, where you can decide if Nissan is the brand for you.